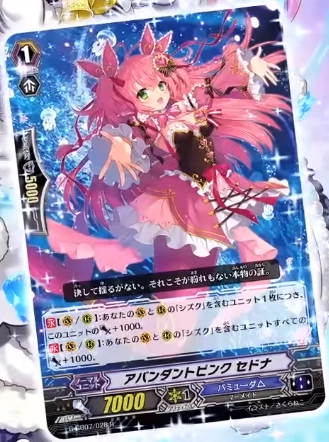 Sedna’s newest form, from Bushiroad’s G-CB07 commercial. CONT (VC/RC) For each of your units on (VC) and (RC) with “Shizuku” in its card name, this unit gets Power+1000. CONT (VC/RC) All of your units on (VC) and (RC) with “Shizuku” in its card name get Power+1000.